I picked this up thinking it would be the perfect true crime read (it was) but it was also a surprising, captivating investigation into the depths of Japanese culture and nightlife and the bizzare and unsettling lengths to which a society will go to find one missing white girl. In glimmering, gripping, and well-researched prose, we follow Perry from England to Japan, down the streets of Tokyo's entertainment district, and across oceans and cities, as he encounters one strange character and experience after another. 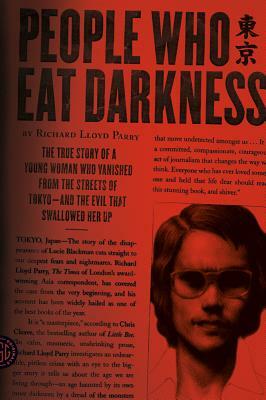 People Who Eat Darkness is gritty and fascinating and well worth a good read.